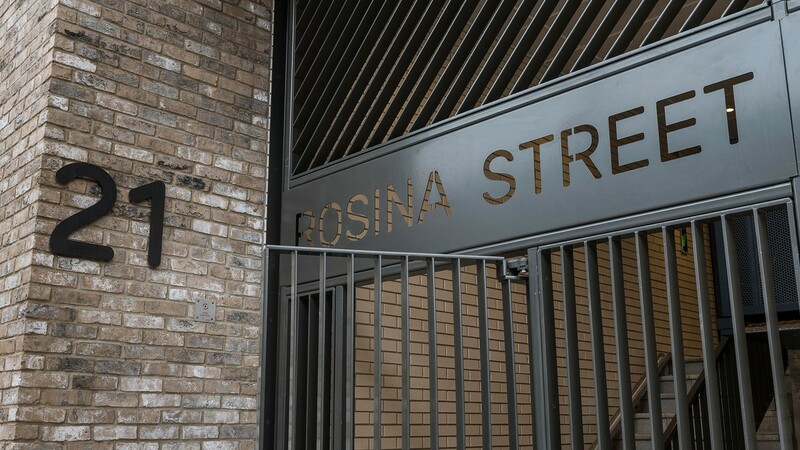 Rosina Street is our second project for Pocket Living, a developer of affordable compact homes in London. 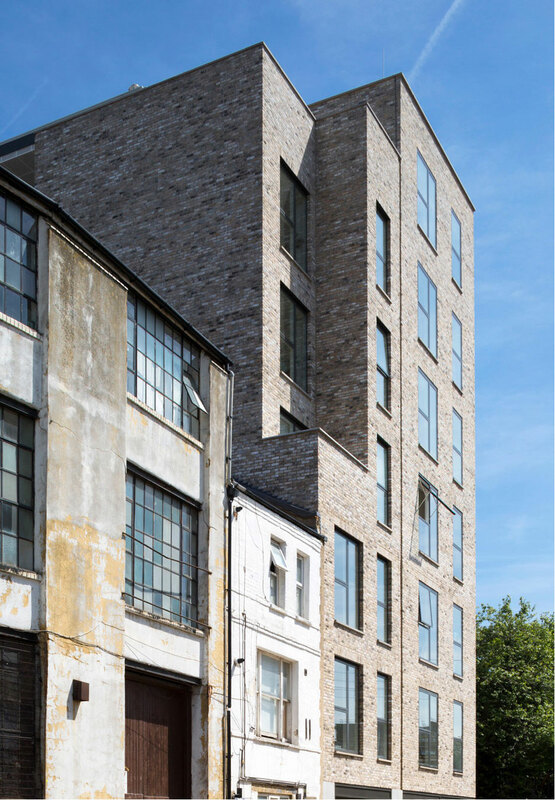 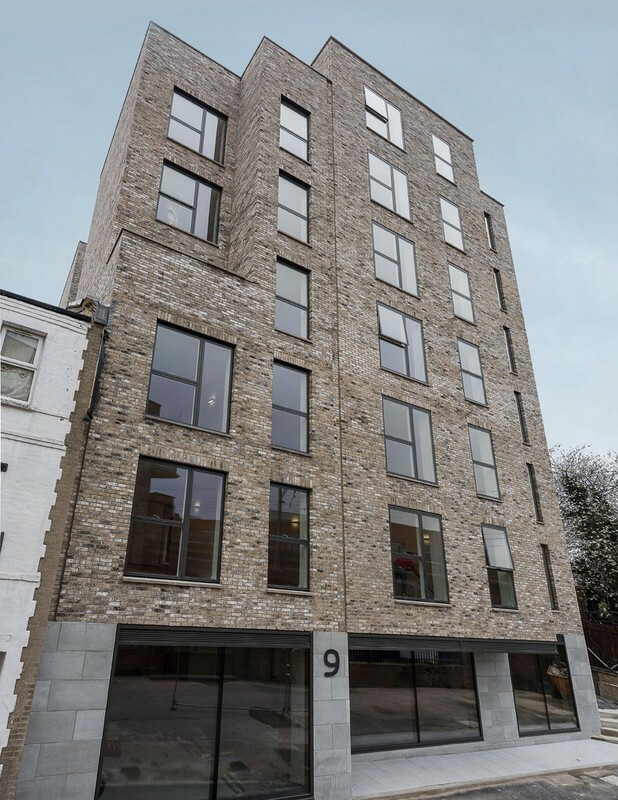 For this scheme we turned a disused public house in Homerton, an emerging area of east London, into a development of 29 one-bedroom and two two-bedroom apartments, arranged around a shared open courtyard. 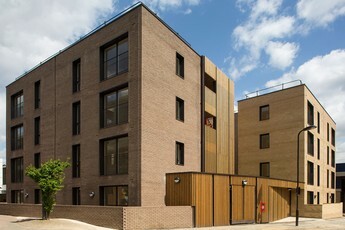 Designed to encourage interaction between residents, homes are clustered around a central area that accommodates the core and circulation. 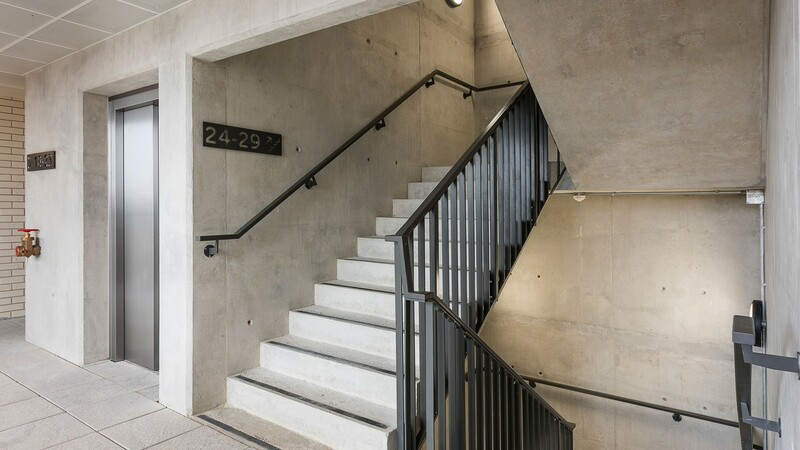 The circulation space guides residents through the heart of the building via a visual concrete stair which is partially open to the elements. 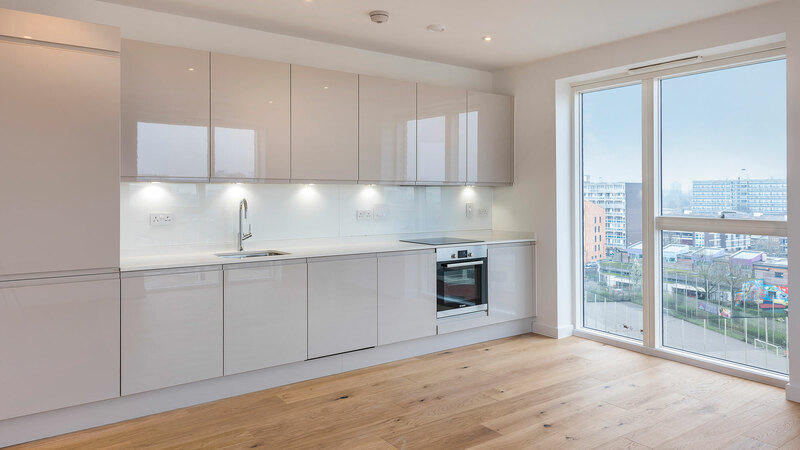 All of the apartments within the development are carefully laid out to provide dual aspect living spaces with natural light and ventilation, and access to a large shared roof terrace with views of the London skyline. 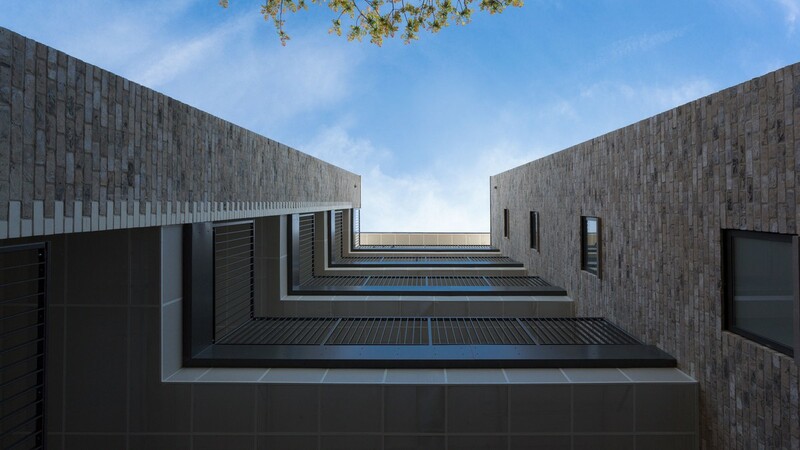 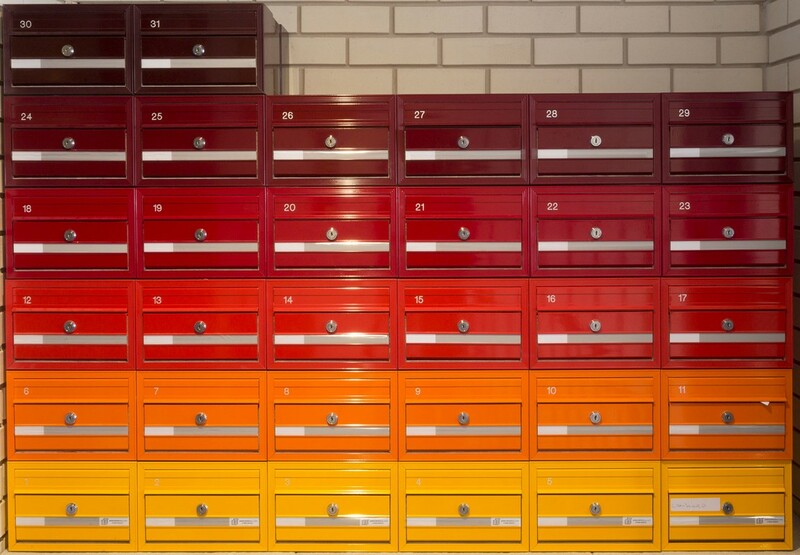 Influenced by the surrounding cityscape, the building’s form comprises vertically stacked volumes, varying in height. 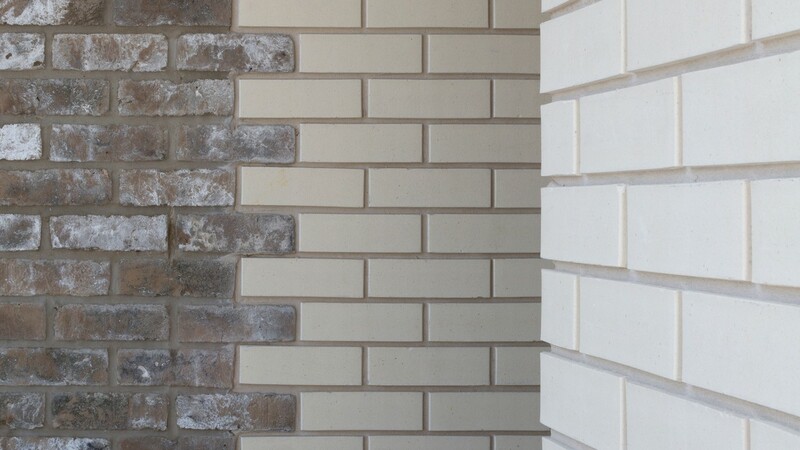 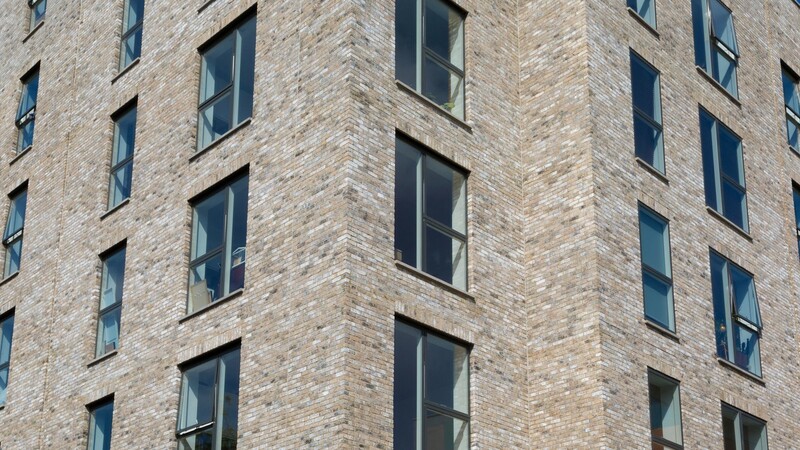 Recesses and careful brick detailing divide up the overall form, and demarcate each individual apartment. 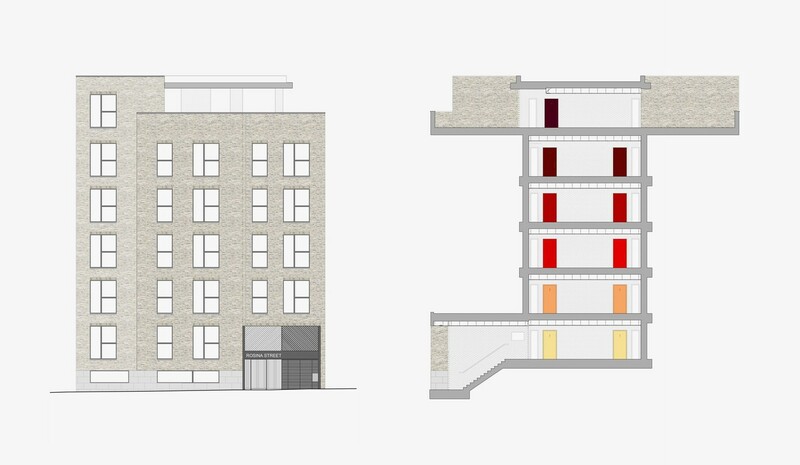 The building’s muted and durable material palette reflects the site’s proximity to the both the railway and the viaduct, and its surrounding light industrial structures.